We at Mast Digital are dedicated above all else to the quality and efficiency of our customer service, hence our returns process is designed to be both clear and straightforward. All acceptable returns will fall under one of the four clear categories below. If an item does not match one of said categories, then it is likely non-returnable. The first thing to do when you want to return something is give us a call with your invoice number or date of purchase. Our team will be able to assess your return and any items deemed to be potentially faulty by our staff will be issued with an RMA number. 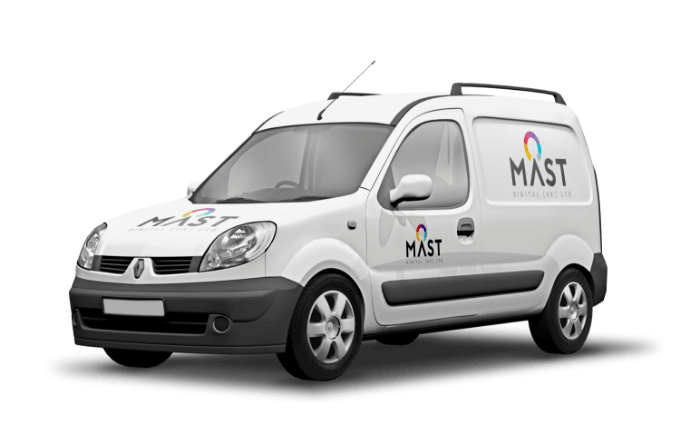 Mast Digital (UK) is not responsible for the acquisition of unidentified parcels, hence any items received without prior confirmation from our team will be returned to sender. Only items returned with a valid returns form and RMA number attached will be processed. Mast Digital operate a 14-day no-quibble guarantee. The above refers to the notification period for the intent to return goods, from date of invoice. Mast Digital will allow 21 days after invoice date for the physical return of the goods. If goods are returned in non-perfect condition, as described above, none or partial credit will be issued. Carriage of goods to be returned is not covered under the 14-day no-quibble guarantee. *Excludes non-returnable, special order (non-stock) and customized items. Unwanted items outside the 14-day no-quibble period may still be returned but only with prior approval from our staff. *The item will need to be in the same condition as stated in our 14-day no-quibble guarantee and the same penalties apply if a non-perfect item is returned to us. At the discretion of Mast Digital, post 14-day unwanted items may be returned to us subject to a handling/restocking charge. As with every other type of return; prior approval from our staff is required in order to issue a returns form and RMA number. *Carriage will not be covered on the return of unwanted items. Upon receipt of the faulty item, assuming our returns process has been followed correctly, Mast Digital will test for the fault in question. If said item is deemed not faulty by our team then it will be returned and a carriage charge will be applicable. Items confirmed as faulty by our staff are then subject to the terms of the manufacturer's warranty. *The manufacturer's warranty covers failure of equipment due to manufacturing faults and does not cover any defect arising from mishandling, incorrect installation or improper use. 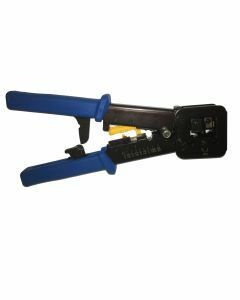 Any damage, modifications or opening of sealed units will invalidate said warranty. Mast Digital distribute a vast range of CCTV, Audio Visual, Aerial and Networking equipment. Due to this, not every product can be stocked and some will need to be specially ordered. Any items specially requested are non-refundable from point of order and will not be covered by our 14-day no-quibble guarantee.